All About Insurance is committed to providing quality insurance coverage and personalized customer service. If you like working with our agency, let others know! Click on the Google Maps or Yelp buttons under your local office below to leave a review on those websites. Or you can click on the link above to leave a review on this page. And don't forget to refer your family and friends to our agency! Excellent place to do Business with ... Lisa always takes great care of my policy! 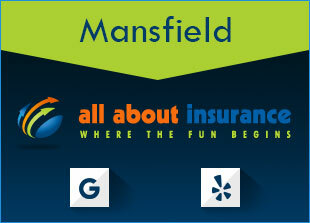 All About Insurance received a rating of 5.0 out of 5 based on 1 review on IWantInsurance.com.